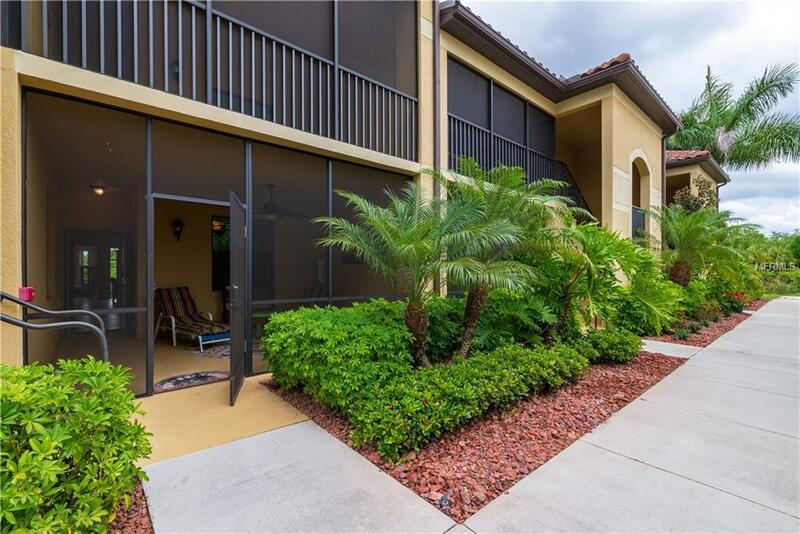 Enjoy Florida living in this 1st floor Veranda condo, located in River Strand Golf & Country Club. 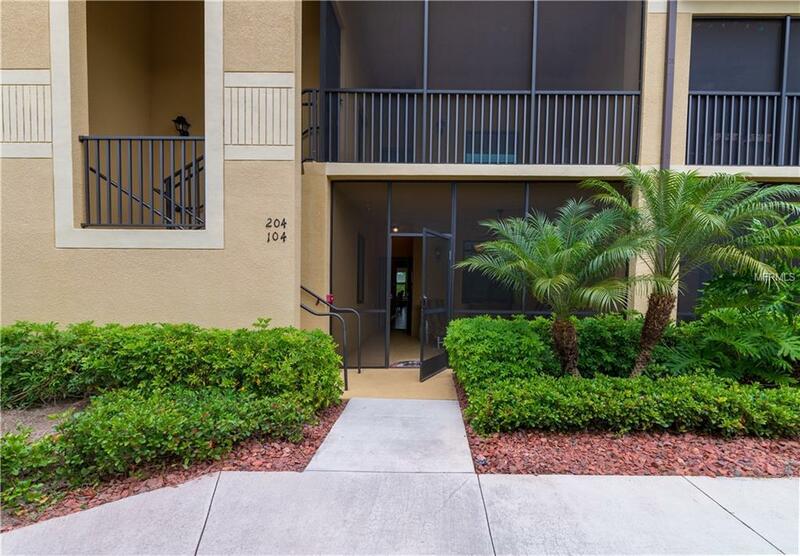 This two bedroom, two bath condo is ready for you to call home! 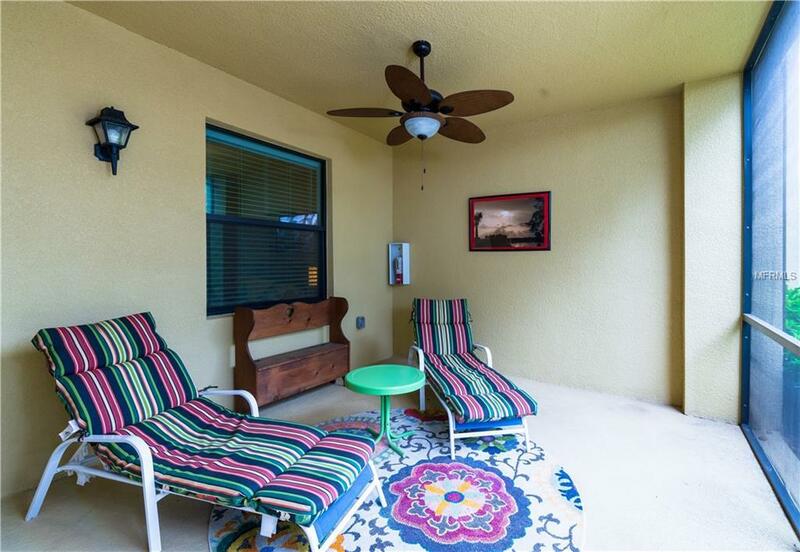 Throughout in this open floor plan are ceramic and carpet flooring. In the kitchen are granite counter tops, stainless steel appliances, with an eat in bar. Front and back lanai's are screened in, the back has a peaceful view of the lake. Unlimited Golf & Tennis, 27-Hole Championship Golf Course designed by Arthur Hills & 8 Har-Tru Tennis Courts. Fitness rooms, Sports bar & dining room. Tiki Bar Resort style pool and hot tub, Pickle ball courts, resort style and resistance exercise pools and more! Tennis and Golf professionals on site. Great Location. 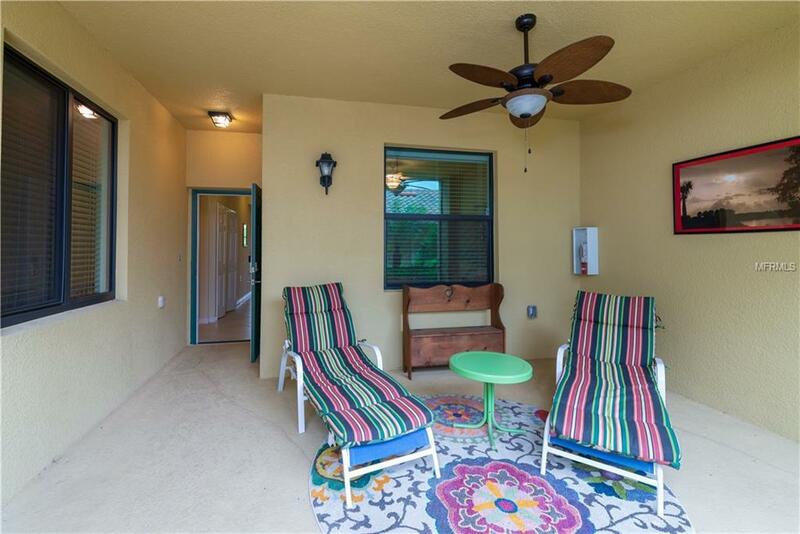 Easy access to I-75, downtown Sarasota & Bradenton, beaches, shopping, dining and more!